The main program consists of three audio MP3 tracks. These audio tracks are created using brainwave-synchronization technology audio that speaks directly to your subconscious, to help you eliminate limiting beliefs. You might ask what the color of your living room walls has to do with the way you feel. 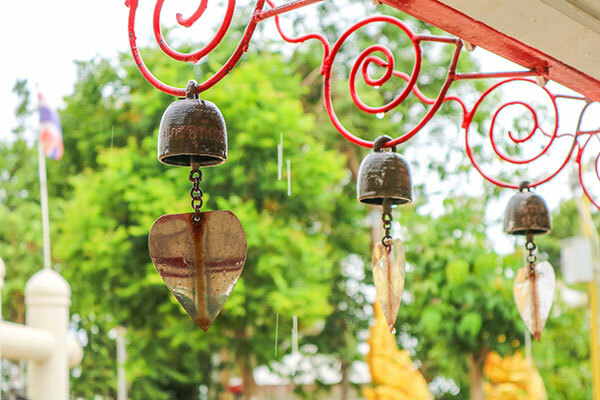 If you subscribe to the ancient art of Chinese placement, the location of your bedroom and the chimes hanging on your porch spell out your personal wellbeing. Feng (wind or air) and shui (water) are the elements that are considered to move around everything and which are basic to our survival. The art is deep-seated in holistic practice and breaks everything down to its energetic value. Chinese philosophy and wisdom and the practice of feng shui (pronounced fung shway) are tied closely together. They espouse the idea that everything, both animate and inanimate, holds life force energies. Proponents of feng shui encourage us to examine energy patterns to determine whether our homes and objects are holding vibrant, thriving energy or blocking energy from moving in the most desirable positive flow. Masters of the art of feng shui use natural vital energies, known as qi (pronounced chee in Western speech due to the Chinese system of sounds and lettering). Generally, malevolent energy patterns are removed first then positive enhancing energy is used to replace them. Mirrors, crystals, bells, wind chimes, rocks, statues, plants, flowers, aquariums, mobiles, and water fountains are all part of the practitioner's arsenal of tools. Color and placement of objects are also considered to create a sense of balance and harmony in the living or working environment. Feng shui is an ancient art but it is not frozen in time. Ancient cultures were often led by shamans, who were revered for their practice of divination by means of line and geography before setting up villages. Gentle winds meant plentiful harvest, flowing springs meant abundant energy and energy meant survival. Later, the practice was combined with astrology and the art of feng shui—literally translated as 'wind and water'—became the art we know today. The ancients believed that the earth and cosmos constitute one interwoven field of energy, something quantum physicists agree with today. They wanted their local geography to be in alignment with the electromagnetic energy grid of the earth, believing it had a major effect on the energies that affected both humans and their dwellings. Jagged objects like antennas or rocks should be countered with mirrors to reflect back the negative energy. The same holds true if you must live near a cemetery, mortuary, hospital, police station, or prison. Round objects such as stones, a gazebo or pond—even a round sand box or pool—can absorb wayward forces. Winding roads bring positive qi because they act like rivers. Forests mean growth and parks where children play mean youthful energy. Feng shui is relevant for modern living. It teaches us how to be attentive to the energies that flow around us. These practical tips for designing your home around feng shui principles will bring better energy into your everyday environment. Put bedrooms at the back of the house where people feel more secure and therefore sleep more soundly. Do not place mirrors at the foot of the bed where they can reflect the sleeper. Use mirrors to amplify light and to make confined areas appear larger. Don't use bunk beds for kids - the child on the bottom will experience compressed qi because of the weight above him. Position the head of your bed up against a solid wall. Beds placed lengthwise along a wall create closed stagnant energy. Make your home's entrance bright and cheery. You can do this with light, color, crystals, flowers or plants. Suspend chimes in the doorway to lift energy upward. Hang mirrors at eye level. Mirrors that cut off your head can deplete your qi. Never block entrances to the house regardless of whether they’re at the side, front or back. Place your bed in a position that affords you a clear view of the entrance to your bedroom without being in direct alignment with the entrance. Bathroom doors in master bedrooms should be kept closed at all times and toilet seat lids should be kept down. Wet energy drains qi. If your front door aligns with and is visible to a back door or window, place a crystal between the two so money qi does not flow in one way and out the other. Find the money spot in your business. It will be to the back left of the front entrance. Do not place registers or money counters near doors. If the room is large, place the register halfway back and to the left so you are not stuck in a corner far away from the activity. If you live at the bottom of a hill or in the direct path of a curve in the road, place a mirror at the front of your house to divert forceful aggressive qi. Clear clutter from closets, corners of rooms and walkways inside and out. Energy needs to flow. Clutter traps qi. If you have a stairway that comes down too near the front door, hang wind chimes or bells outside the doorway to divert qi from running out of the house. Place a flag or several flags outside your house or small business. Flags flowing in the breeze create moving qi which attracts people. Red, gold and green are believed to attract money. Remove broken items or anything that’s not useful or beautiful. Keep your kitchen spotless and free of countertop clutter. Keep bedroom colors warm and avoid orange and red. These colors contain high energy and may prevent a restful night’s sleep. Plants are living breathing things. Use them liberally around your space to bring energy into a room but be sure to keep them pruned and do not pack them together. Allow air to circulate around them. The art of feng shui and the science of physics are in agreement with the way our universe acts upon us. The bottom line, though, is that we feel more fluid and graceful when our lives are organized around its flow. Take some time to assess your surroundings and make a few tweaks to your personal spaces. Change is good when it means the sinuous elegance of the cosmos is acting on your behalf.